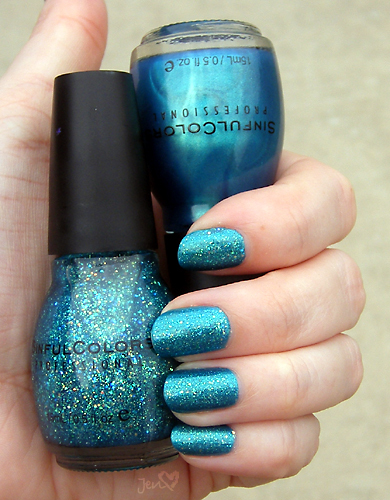 Aqua on bottom and Nail Junkie on the top. 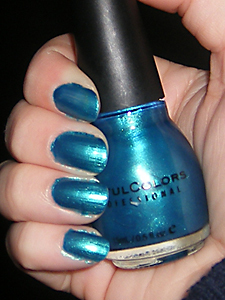 Absolutely an electrifying color! My fingertips were constantly catching my eye while I wore this.